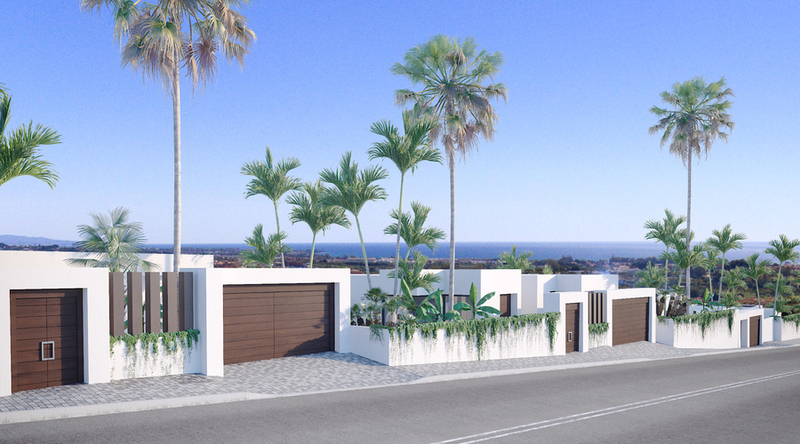 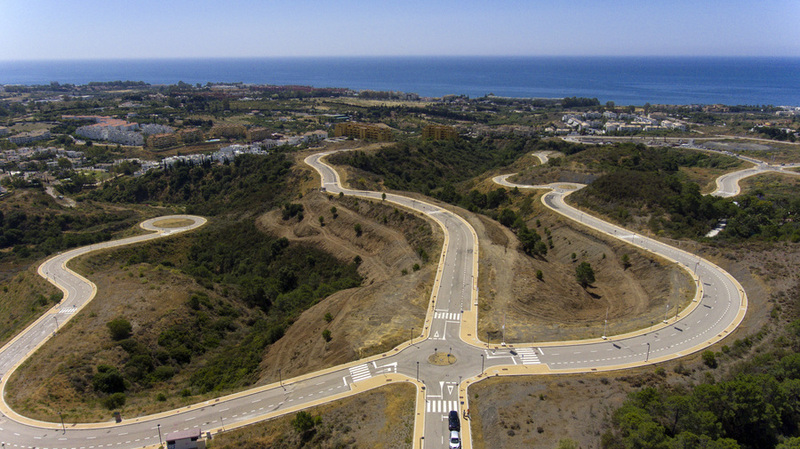 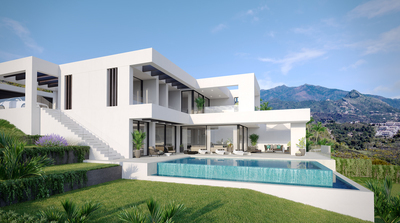 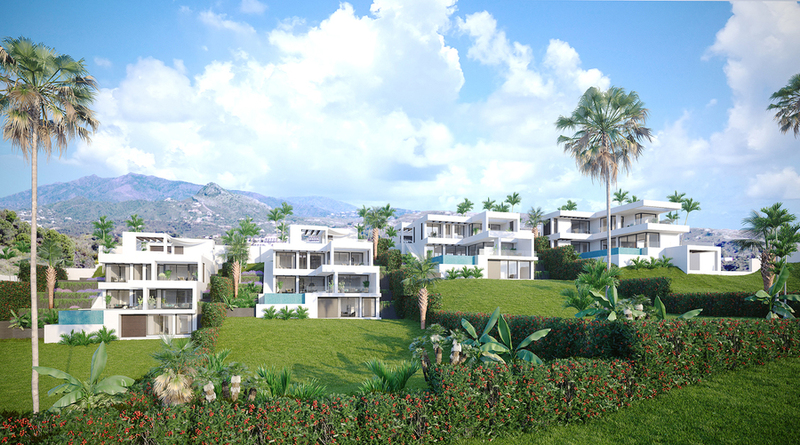 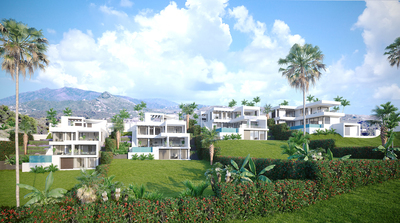 Set on the finest and most sought after plot in the New Golden Mile, this stunning development of 49 elegant contemporary villas are set on the highest point of the Torrevigia range and yet only a few minutes from the coast, with direct access to both Estepona and Marbella the strategic position offers a fantastic base to explore. The View is the jewel in the crown of this exciting new residential area where discerning clients with modern tastes will have a wonderful new and exciting community in which to enjoy their surroundings. 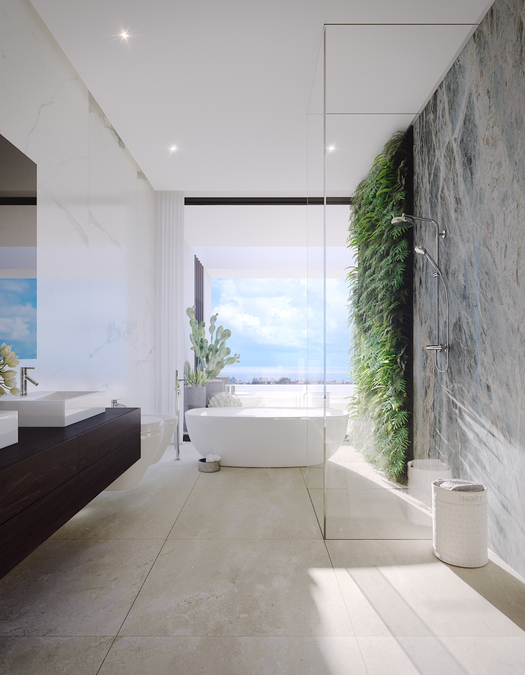 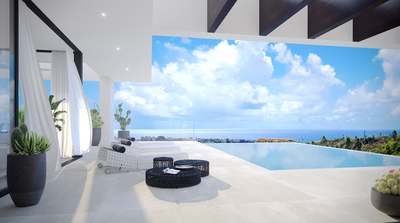 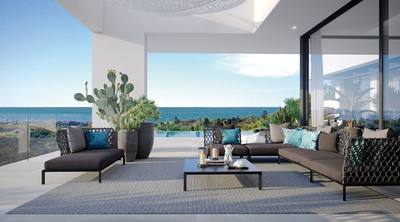 The villas consist of a choice of 5 different Eco models that blend harmoniously into the natural landscape, creating maximum views and light whilst the inspired design also ensures ultimate privacy for the owners. 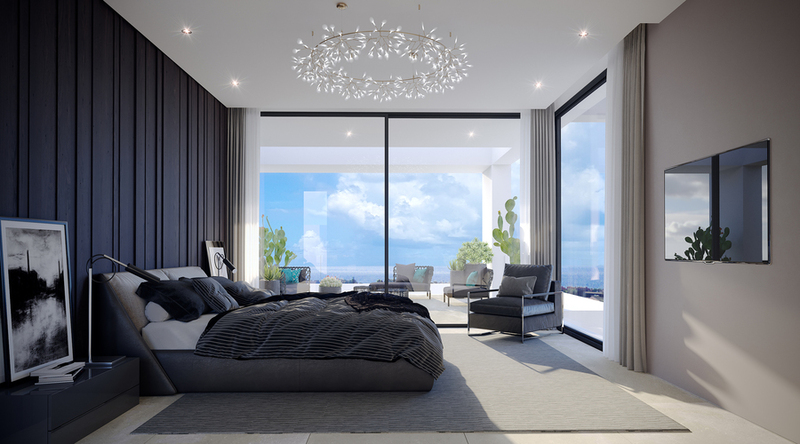 The houses benefit from the highest qualities and latest finishes throughout to ensure the most luxurious standard of accommodation. The developers in-house interior designers will work together with you to find the best choices in furniture and finishes o ensure your home reflects your individual taste and style. 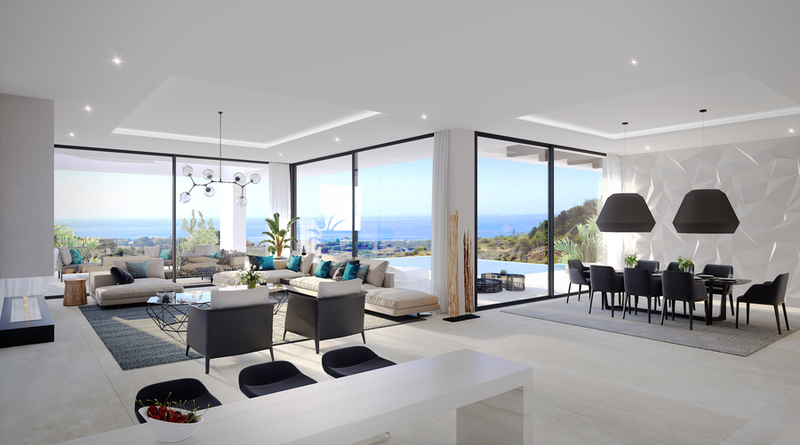 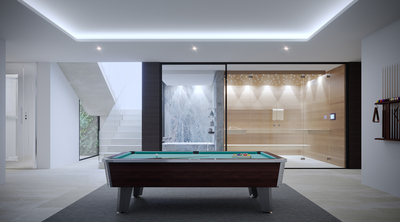 The luminous flooring and spacious layout celebrate the ability to seamlessly merge the internal & external living areas into light-filled designated zones for both entertainment, relaxation and family living. Designed with different living zones for the day and afternoon light according to sun exposure. 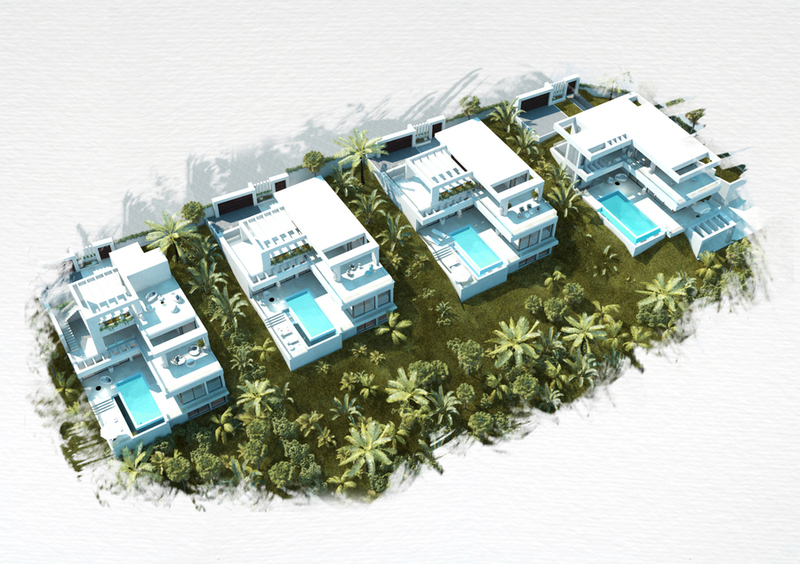 These really are truly unique villas set in this desirable location and must be seen to be appreciated.